I have chosen to try to parent Caleb gently. To let him take the lead and attempt to overcome my cultural views of what baby care should be and to let him, and my instincts, be my guide. Its not always easy.. but it works for us. And for now I feel like its the right thing for him.. and for me. Caleb has a high need for physical closeness. And that need has led me to “baby wearing.” I have a variety of baby carriers that I use to keep him close as often as we mutually desire. The one in the photos in my newest carrier, my ring sling. Honestly, it’s probably the only one I really need but it took a few other carriers to figure that out. 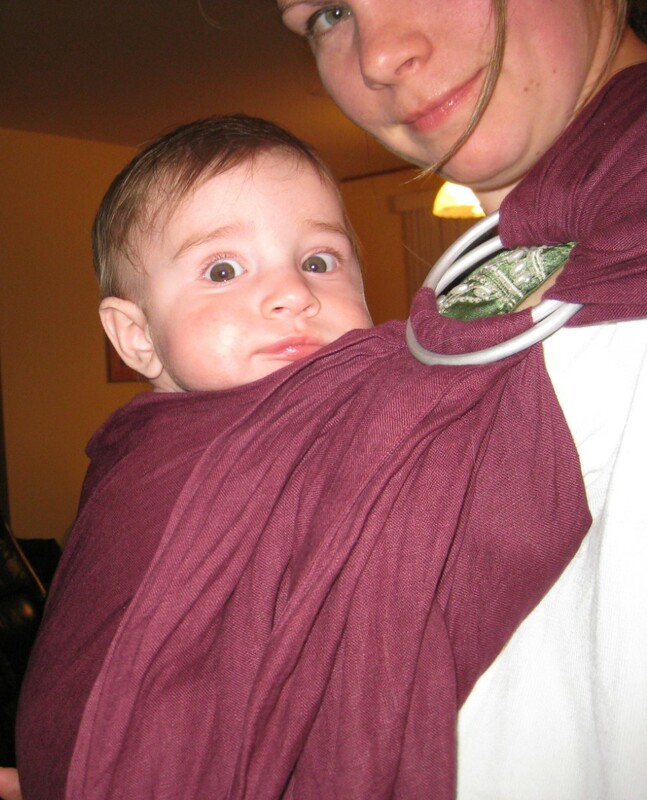 The benefits of baby wearing are quite extensive. 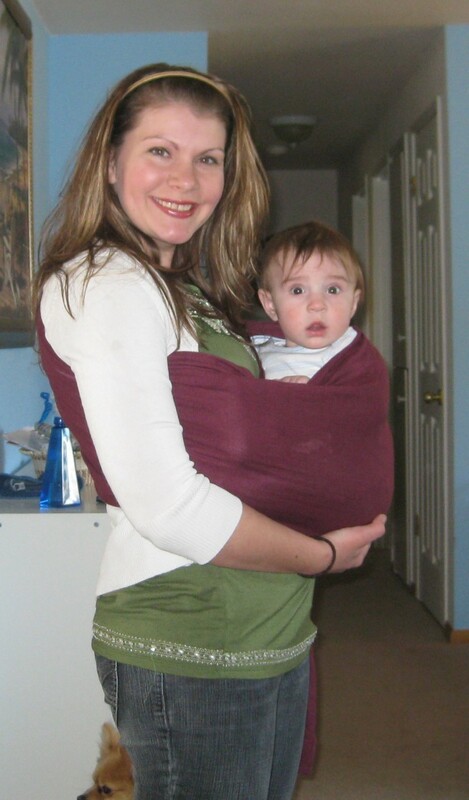 Someday I hope to be able to educate new moms about the benefits, and how to’s, of babywearing, as well as co-sleeping and other attachment promoting behaviors. But for now I’m just a student.. learning from my baby, from others and from the only perfect parent, God. This entry was posted by patti on Wednesday, March 30th, 2011	at 9:23 am GMT-0800	and is filed under Uncategorized	. You can follow any responses to this entry through the RSS 2.0	feed. Both comments and pings are currently closed.